Access and Inspection Hatches are ideal for easily reaching and controlling various areas on board,such as fuel lines,electrical ables,gauges, controls, even the engine. They are specially designed with a non-skid surface and can be mounted horizontally, as well as,vertically. All hatches are mounted with hidden screws for discrete appearance. 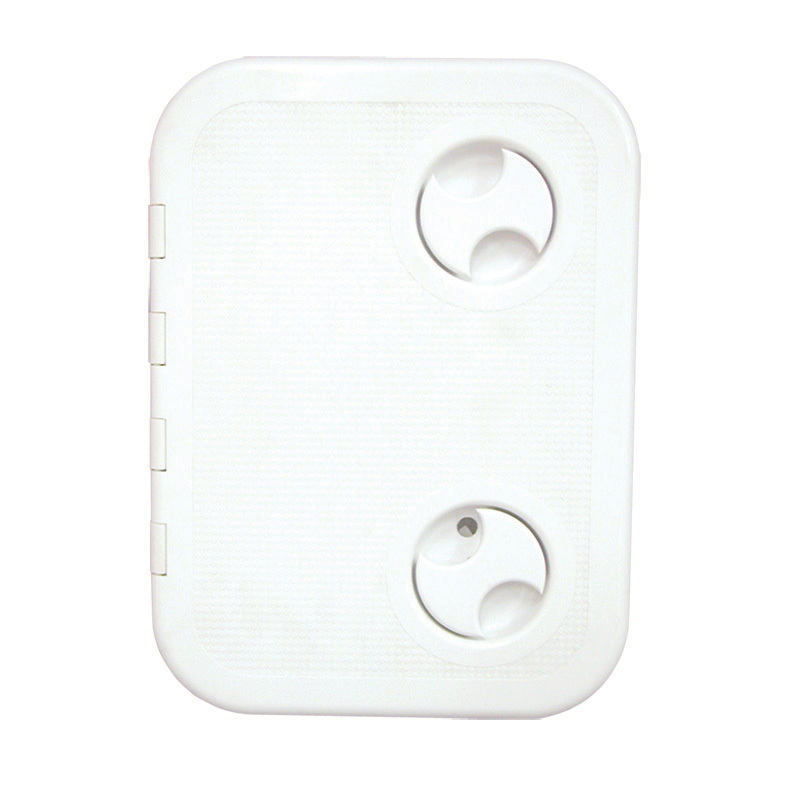 They feature an O-ring seal that makes the hatch watertight,180 degree opening door, with one or two handles,where you can install a lock and an O-ring seal that makes the hatch watertight. All hatches are made of UV resistant PP (polypropylene) plastic and are designed for extended use.